Mapping 7 deadly sins, and 2 virtues. Wiredmagazine maps The Seven Deadly Sins: The Northwest scores big on measures of Greed (average income vs. the poverty line) and Envy (thefts per capita); middling on Sloth (arts, recreation, and entertainment spending); and relatively lower on Wrath (violent crimes) Gluttony (fast food joints per capita) and Lust (STDs). The Land Art Generator maps the surface area required to power the world with solar and off-shore wind. 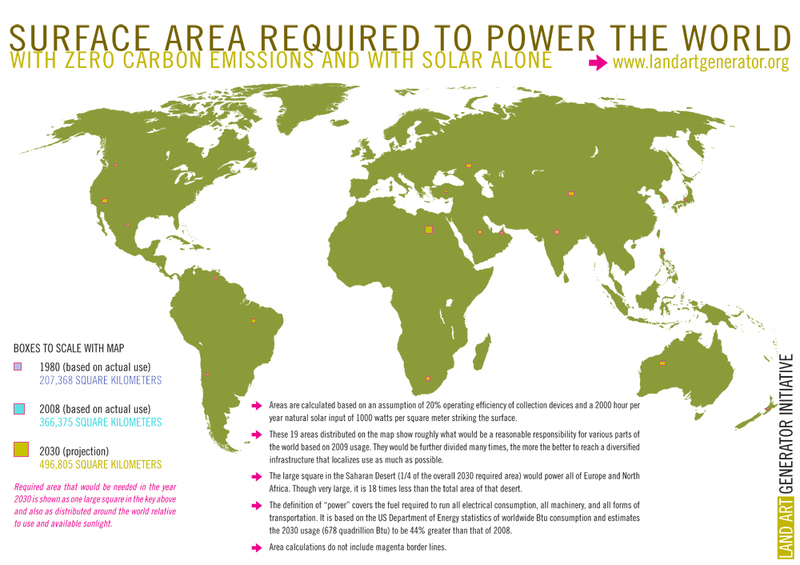 For solar, the land area is surprisingly small—though I’m sure that, in practice, it would be a substantial impact.